Fire & Ice won both the most First place votes and Second place votes. We hope you’re eagerly prepping your “chill space” and your flaming bar stools. Thanks to everyone who voted this year! Now that the theme has been chosen, we are accepting submissions for Lakes of Fire’s Effigy next year! Do you have an idea for something really big that looks great on fire? This is a terrific opportunity to see your vision come to life, or enable someone else’s vision. If you have a burning desire to get your hands dirty with a team of artisans soon to be constructing one of the most generously funded art pieces at Lakes of Fire, please send us an email. It’s an open design contest; there are guidelines, but no limitations to your creativity. Inspired, imaginative, and challenging designs are welcome. Show us what inspires you, and tell us why it will inspire others! So you wanna build an effigy? 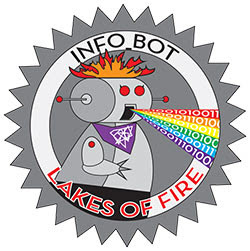 Email all inquiries to effigy@lakesoffire.org.